Parallel ATA cables have a maximum allowable length of 18 in (457 mm). 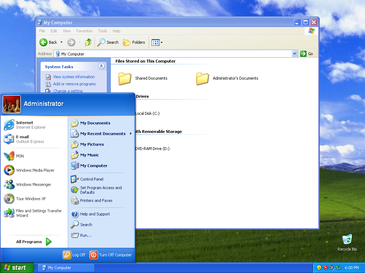 Because of this limit, the technology normally appears as an internal computer storage interface. For many years, ATA provided the most common and the least expensive interface for this application. 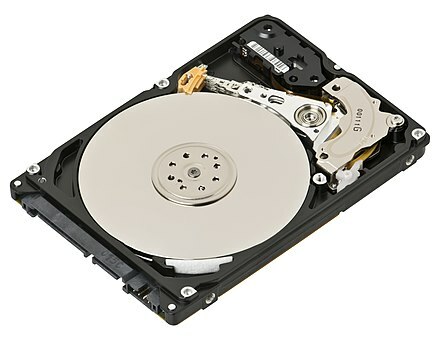 It has largely been replaced by SATA in newer systems. 2.6.1 "Lowest speed" 2.6.2 "One operation at a time"
ST-506 or ATA interface, but usually not both. A single 2-drive ATA interface and a floppy interface was added to this system via the 16-bit ISA card. An Oak Technology Mozart 16 16-bit ISA sound card, from when the CDROM drive interface had not yet been standardized. This card offers four separate interface connectors for IDE, Panasonic, Mitsumi, and Sony CDROM drives, but only one connector could be used since they all shared the same interface wiring. 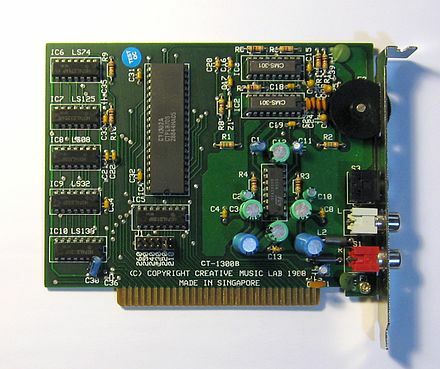 SoundBlaster 32 16-bit ISA sound card, from after connector standardization had occurred, with an IDE interface for the CDROM drive. Capacitive coupling is more of a problem at higher transfer rates, and this change was necessary to enable the 66 megabytes per second (MB/s) transfer rate of UDMA4 to work reliably. The faster UDMA5 and UDMA6 modes also require 80-conductor cables. Though the number of wires doubled, the number of connector pins and the pinout remain the same as 40-conductor cables, and the external appearance of the connectors is identical. Internally, the connectors are different; the connectors for the 80-wire cable connect a larger number of ground wires to the ground pins, while the connectors for the 40-wire cable connect ground wires to ground pins one-for-one. 80-wire cables usually come with three differently colored connectors (blue, black, and gray for controller, master drive, and slave drive respectively) as opposed to uniformly colored 40-wire cable's connectors (commonly all gray). The gray connector on 80-conductor cables has pin 28 CSEL not connected, making it the slave position for drives configured cable select. Round parallel ATA cables (as opposed to ribbon cables) were eventually made available for 'case modders' for cosmetic reasons, as well as claims of improved computer cooling and were easier to handle; however, only ribbon cables are supported by the ATA specifications. In the ATA standard, pin 20 is defined as (mechanical) key and is not used. This socket on the female connector is often obstructed, requiring pin 20 to be omitted from the male cable or drive connector, making it impossible to plug it in the wrong way round; a male connector with pin 20 present cannot be used. 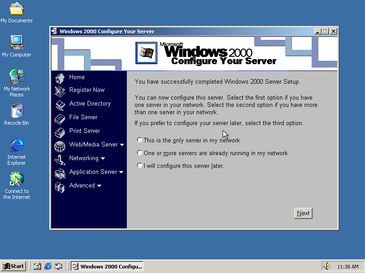 However, some flash memory drives can use pin 20 as VCC_in to power the drive without requiring a special power cable; this feature can only be used if the equipment supports this use of pin 20. Pin 28 of the gray (slave/middle) connector of an 80-conductor cable is not attached to any conductor of the cable. It is attached normally on the black (master drive end) and blue (motherboard end) connectors. Compact flash is a miniature ATA interface, slightly modified to be able to also supply power to the CF device. BIOS Specification, Version 1.0" (PDF). phoenix.com. Archived from the original (PDF) on 2010-01-02. Retrieved 2015-08-25.